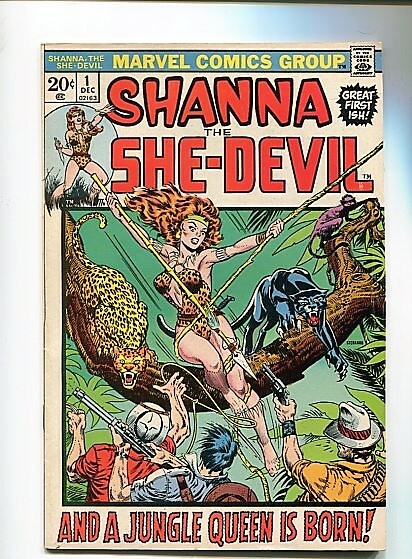 SHANNA THE SHE-DEVIL #1 (1972) 9.0 (VF/NM) OW/W PAGES HI GRADE BRONZE WOW! This is a very nice hi grade shanna the she-devil #1 that i grade 9.0 with ow/w pages. Only a few slight non color breaking dents and bends (that would press out imho). ALL BOOKS ARE SHIPPED VIA USPS PRIORITY 2 DAY BOX FOR BEST PROTECTION.